This recipe for Lithuanian poppy seed cookies, or aguonu sausainiukai, are dropped cookies that can be dusted with confectioners' sugar or left plain. 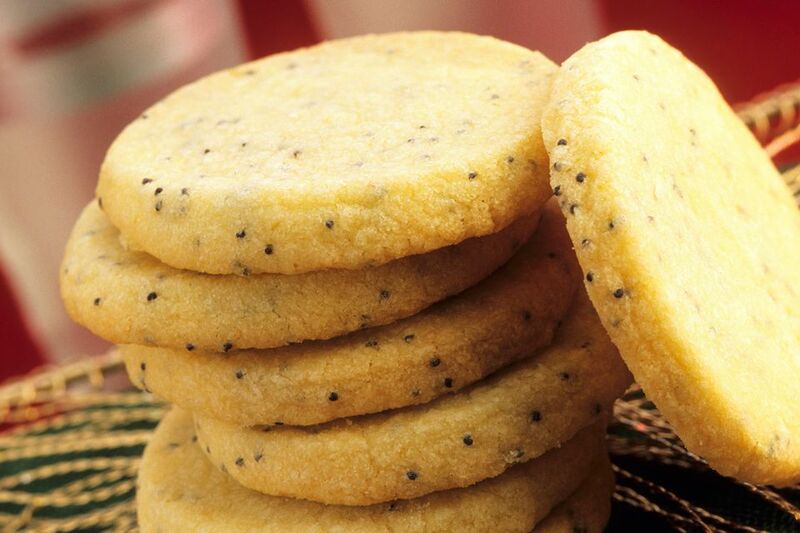 Poppy seeds are omnipresent in Lithuanian cuisine and appear in everything from savory foods and noodles to desserts. In a large bowl, combine 1 (12.5-ounce) can poppy seed filling and 3 large room-temperature eggs. Add 2 tablespoons room-temperature sour cream, 2 tablespoons melted and cooled butter, 1/2 teaspoon baking soda, 1 teaspoon vanilla, a pinch of salt, and 1 cup all-purpose flour, mixing thoroughly. Heat oven to 350 F. Scoop cookie dough onto parchment-lined baking sheets. Tamp down with the bottom of a flour-dusted glass. Bake until cookies are golden brown, about 20 to 25 minutes. Cool cookies on pan. Dust with confectioners' sugar, if desired. Store in an airtight container. In Eastern Europe, poppy seeds appear in everything from sweet to savory foods. The tiny seeds, representing coins, are a symbol of wealth and, as such, figure prominently at Christmastime and New Year's expressing hoped-for prosperity in the coming year. Eastern Europeans like to sprinkle whole poppy seeds on breads, rolls, cookies, and in salad dressings, but more often than not, they are ground or crushed to release their flavor in a special grinder or in a ridged bowl with a tool known as a makutra in Poland then used in pastries or with buttered noodles. Probably the most popular pastry is poppy seed roll, also called poppy seed strudel and known variously as makowiec in Poland, mákos bejgli in Hungary, bulochki s makom in Russia, makový závin in the Czech Republic, makovník in Slovakia, aguonų vyniotinis in Lithuania, makovnjača in Croatia, and ruladă cu mac or ruladă cu nuci in Romania. The poppy seed roll is an indispensable dessert for the holidays, especially Christmas and Easter. Many Eastern Europeans grow the Oriental variety of poppy known as papaver somniferum in their organic gardens (no pesticides or herbicides) with the specific intention of harvesting the seeds from the dried seed pod or capsule. The test to know if the pod is ready is to shake it. If the seeds can be heard rattling around, they’re ready. Canned poppy seed filling is available in markets in Eastern Europe, but the best flavor is achieved by grinding one’s own in a grinder specially made for poppy seeds.